We love colouring pages and are extremely excited to bring you a new set of free seaside summer coloring pages for kids and adults. Time to take a dive into the ocean! Have fun coloring together with your little ones, it truly is a great way to bond and spend some fun coloring time together. 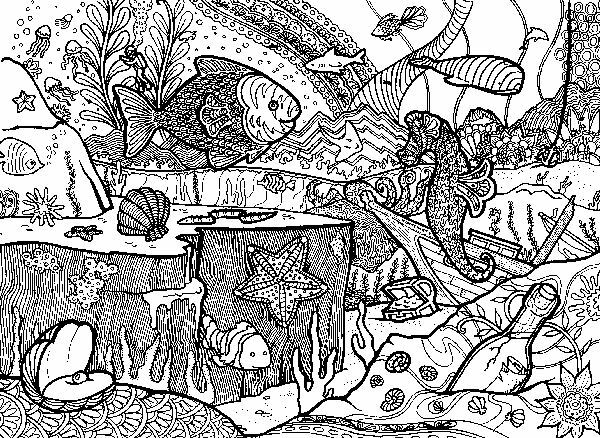 There is one super detailed coloring page with many dwellers of the sea and imaginative details that grown ups and older kids will enjoy. 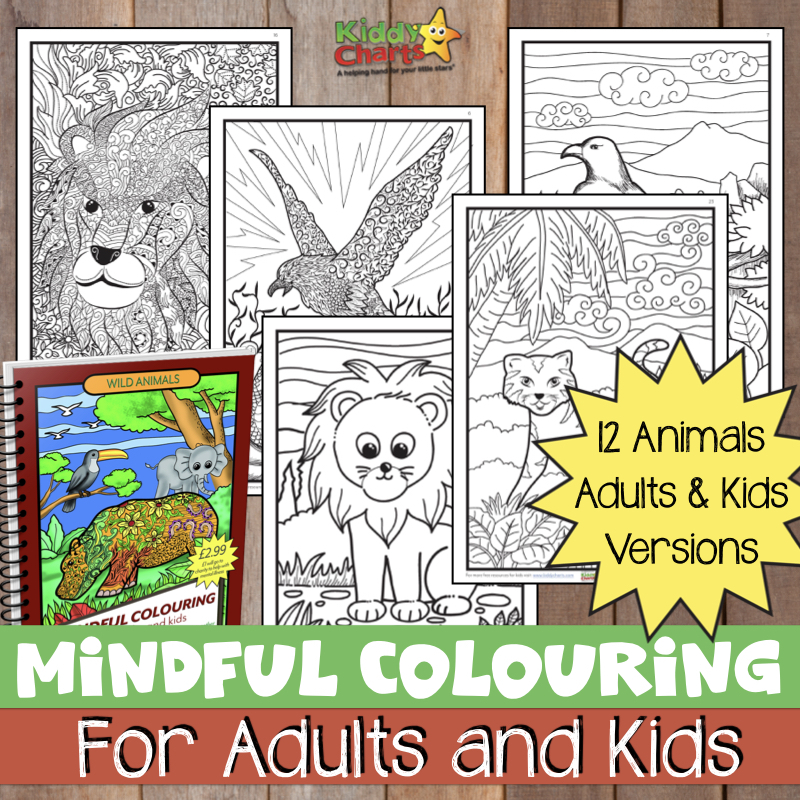 If you have a little one that loves coloring, there is also a simpler version of the same coloring page for them to colour in. We love all the details on both colouring pages, from the sea shell that is showing off their pearl, through the bottle with a note stored within it. Not forgetting the scuba diver exploring the wonders of the oceans (that you and your kids are colouring in). Wonderful isn’t it? We also love that the younger kids’ version has a lot of silly faces drawn on the sea creatures, this certainly does make it more fun for your little ones. We have a number of other printables on the site, and produce a new one each week if we can, do sign up for new articles on the site. 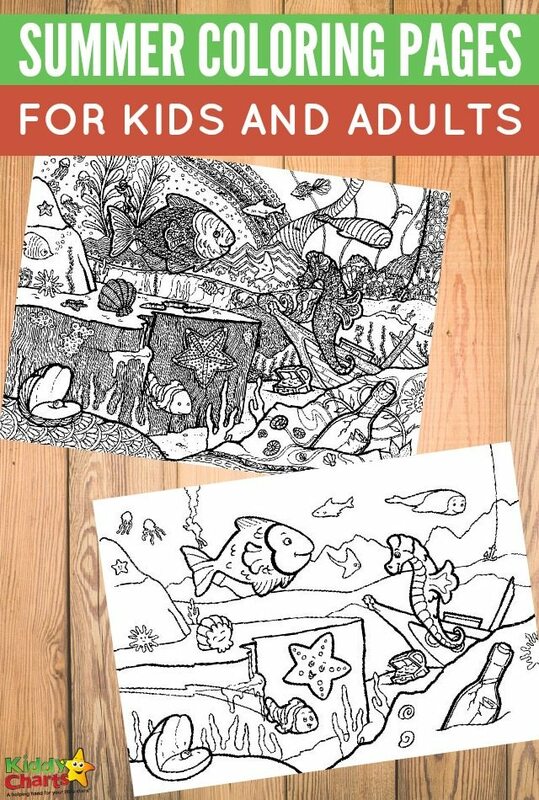 Wonder what you have to do to get these free printable seaside summer coloring pages for kids and adults? It is very simple; just click on the black and white images you see bellow and print them out. Then, let the colouring fun begin. Get your free seaside summer coloring page for adults. Grab your colouring pens and give this intricate design a go. Get your free seaside summer coloring page for kids. 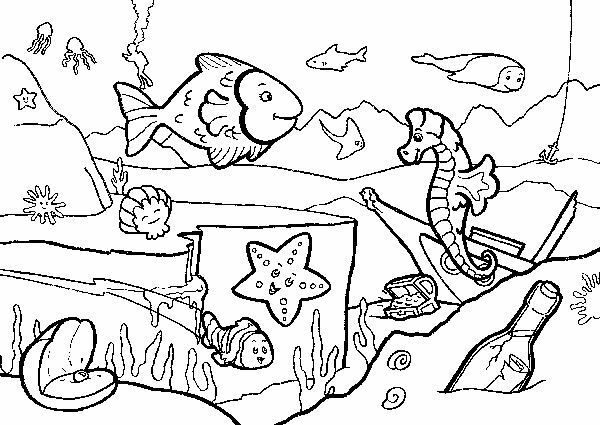 Have your kids fetch their favurite colouring supplies and let them enjoy this magical sea world colouring page. Looking for some more free printable coloring pages for adults and kids? You have come to the right place. 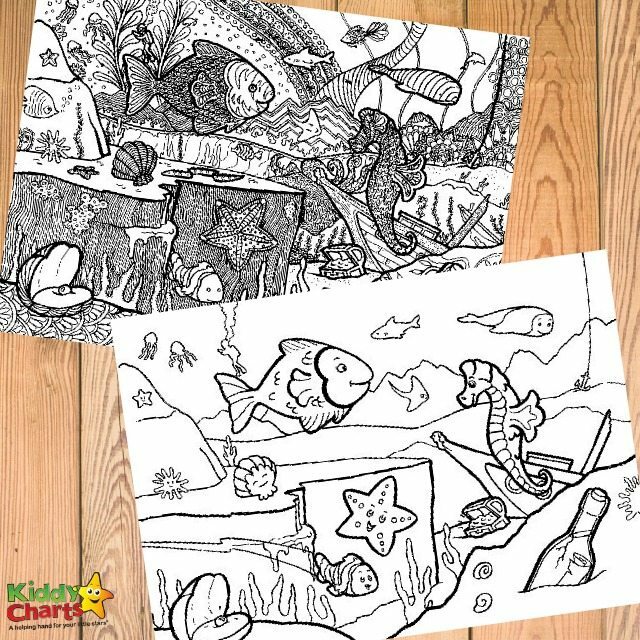 Beautiful ocean coloring pages for kids and adults. Are you a fa of cats? If you are you should definitely check these cat mindful coloring pages for adults and kids. We have some lovely coloring pages for people who fancy flowers too. Get your free printable four flower coloring pages for adults here. Do take a minute to sign up for our newsletter too, so that you don’t miss out on other great free printables and ideas of what to do with kids. Everybody loves getting something for free, so we’ve created our giveaway section to make sure you never miss out on a good opportunity. If you are interest in what awesome stuff we are giving away you can check them out here and enter for a chance to get them :).